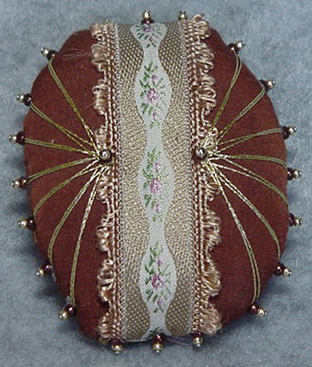 A simple, sweet pincushion is this one. Materials provided include a chocolate colored fabric with a scalloped embroidered ribbon. Finished with gold threadwork and gold and copper seed beads.